One of the first things people think of when trying to reduce energy is to install a high-efficiency boiler, chiller and/or RTU. If your units are more than 15 years old, this might make perfect sense. Newer units will definitely be more energy efficient. Be sure to properly calculate how much power you need - you may be able to use a smaller unit. If other areas of the building also have newer equipment, especially lighting and Energy Star appliances, chances are your building will have a lower cooling requirement. That means you can reduce the size of the overall electrical needs and go with lower-output cooling equipment. Be careful with your calculations as the size of your heating equipment may need to increase. Why? Because the newer lights may give off a lot less heat and you may need to compensate for that. This is where you may need to get creative. Watch this video to see one example of how our team reduced a chiller load by 25%. Read more about selecting the correct equipment size here. Have you considered solar power for your commercial or industrial building? What about using geothermal for your winter heating and summer cooling needs? 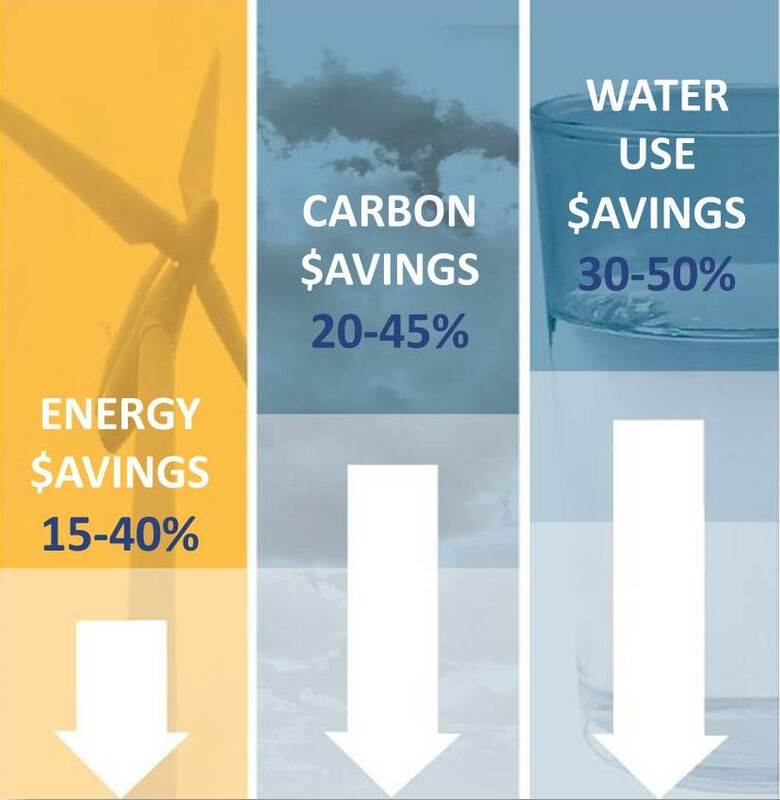 If you’re really looking to reduce costs – and environmental impact – renewable energy is the way to go. PACE (Property Assessed Clean Energy) tax assessments or Power Purchase Agreements can help pay for it. See how here. If possible, opt for a high-performance, hybrid HVAC system - one that combines the best of these three recommendations. Reduce the size and improve the efficiency of your units, and reduce the load on them with renewable energy sources. New equipment is not always the answer. I’ve always said a well-designed, properly maintained building, even if it has older equipment, will run smoother and more efficiently than one with newer equipment that is poorly operated and maintained. There are several, often overlooked, measures to employ before going and spending money on a whole new system. Read about inexpensive measures that can significantly improve HVAC performance in this post, and others in this article for Building Operating Management.